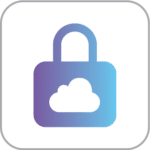 Napatech FPGA Cloud Crypto instance is a hardware accelerated crypto component which serves as a development playground and can be used for F1 DPDK cryptodev rapid prototyping. Napatech AES F1 DPDK cryptography instance provides a preloaded Amazon Machine Image of the Napatech FPGA based Encryption Engine built for the Data Plane Development Kit (DPDK) cryptodev. The solution uses the DPDK cryptodev API to encrypt and decrypt all data using AES-128-GCM. The demonstrator uses a cryptodev application (DPDK crypto perf) to send data through the DPDK cryptodev API to the Napatech FPGA, managed by the SDAccel Xilinx Development Environment. The sample runs within one EC2 F1 instance. The Napatech FPGA Encryption Engine is built for Napatechs portfolio of SmartNICs and offers line-rate encryption and decryption speeds. The AWS version is built using SDAccel 2017.09 and is speed-limited until a newer release of SDAccel becomes available. Function-wise, the demonstrator serves as a test environment for exploring how hardware offload can be used when building DPDK applications. The AMI image includes DPDK SDK and all tools from the DPDK suite to develop and test the cryptodev PMD.